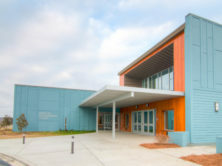 This unique charter school sits on an 82-acre campus with three ponds and sweeping views of the surrounding area. 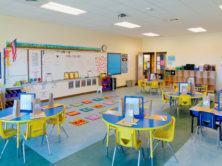 The 65,000-square foot charter school provides plenty of collaborative learning spaces and was built to accommodate 900 students. The school is equipped with today’s latest technology. 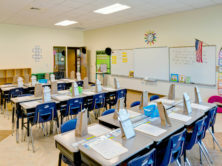 Classrooms include state-of-the-art SMART boards and Mimio interactive technology where instructional connections take place in all subject areas. An outside courtyard provides spaces for students to gather socially and academically. 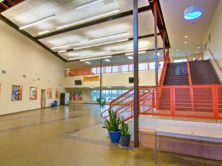 Sustainable design features support the school’s goal of a healthy learning environment. Taking advantage of the site and the amenities within the building, the school establishes a strong presence in the local community that helps provide a cultural and international richness to all constituents. 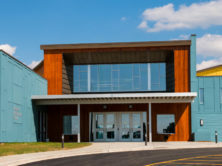 EDIFICE was selected as the design build contractor on this project in November 2011 and began by providing the Carolina International School’s (CIS) team with guidance for their architectural selection. The team selected local architect, Little Diversified Architectural Consulting, as their design firm.